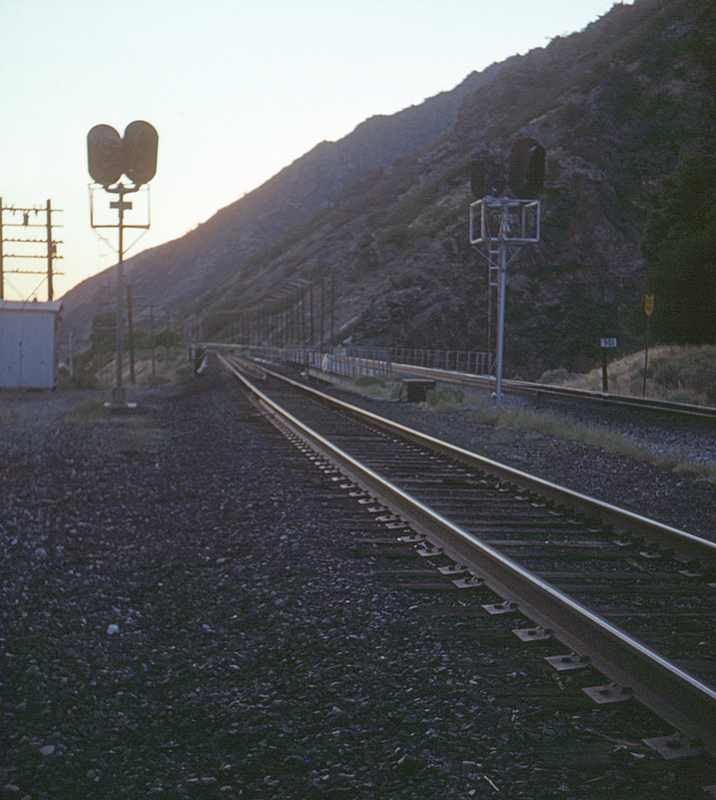 One of the major obstacles encountered in building the Union Pacific west to Ogden, Utah was Devil's Gate in Weber Canyon. Here a major bridge was required to bridge a sharp loop of the Weber River, where it had carved a considerable gorge into the canyon wall. This view looks west across the bridge towards Ogden.